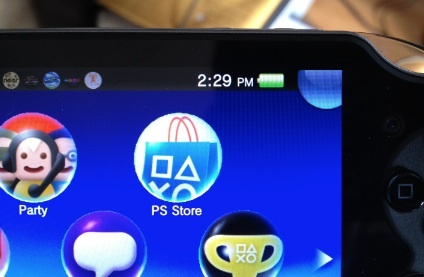 Follow our advice to preserve Vita's battery and play games longer. Sony's PlayStation Vita is one powerful handheld, which means it consumes a ton of juice. Play it nonstop, and you'll be lucky to squeeze more than six hours from the battery before that sucker croaks. Thankfully, it doesn't have to be this way. By making some tweaks and remembering simple rules, you can extend PlayStation Vita's battery life even further, guaranteeing the system will continue to push out those high quality graphics. That said, follow these tips to keep your shiny new system doing what it does best. Much like a smart phone, Vita's data connection will sap energy from the battery. To disable it, select Settings, Network and then leave the Mobile Network box unchecked. This will switch the system to Wi-Fi only. Keep in mind you only need to worry about this if you own a 3G powered Vita, though you should consider deactivating Bluetooth on the Wi-Fi model. As much as we love Vita's glorious five-inch OLED screen, keeping the brightness at the max will take its toll on the battery. To adjust this, head to Settings, Sound & Display, Brightness and then use the on-screen slider. Bam, instant battery boost. When not using PlayStation Vita, quickly press the Power button (located on the top left of the system) to put the machine to sleep. If you forget, don't worry. Vita automatically goes into sleep mode after a few moments. Be sure to plug the included AC adapter to your PlayStation Vita whenever possible, especially while on airplanes if there's a plug nearby. This will keep the battery topped off.